I have to say that one of my fave spots on the interwebs is the Disney Food Blog. I must commend AJ Wolfe on the spectacular job she has done over the past two years compiling reviews, photos and mucho information to the dining at my happiest place on Earth. Recently, AJ (and her awesome team of helpers) published an e-book titled “The Disney Food Blog’s Guide to Walt Disney World Dining: Steps to a Stress-Free, Personalized Plan.” Since I just bought an e-reader, what was my first purchase? Of course you know what it was! The guide is 256 pages of colorful photos, tips, planning guides and tidbits of knowledge that you won’t find anywhere else. The guide takes out all the stress of getting those so-desired ressies at Chef Mickey’s character breakfast at the Contemporary Resort or dining with the princesses at Cinderella’s Royal Table at Magic Kingdom. You don’t have to stay at a Disney resort to make an Advanced Dining Reservation (ADR). There’s baby food (albeit limited) available to purchase at Baby Care Centers located in the theme parks. You can find diapers, formula and other baby needs, too. Deciding your budget. WDW is, after all, one of the most expensive vacays your family probably will take. So writing down what you want to spend on food vs. other items in advance really helps the whole planning process. Creating a calendar. There’s a rule among WDW vets known as 180+10. You can make your ADRs 180 days out from your check-in day, plus an additional 10 days. For instance, we’re checking in for our next trip on Dec. 1. We can make our ressies on June 4 for the entire stay. Now, if we were staying beyond a 10-day trip (it does happen), you will need to call back to the reservation hotline for the remaining days that are outside that 10-day window. (Got it? There’s a test later.) This rule is especially important if you want to get into some of those hot spots like Chef Mickey’s, Le Cellier (the steakhouse in the Canada pavilion at Epcot’s World Showcase) or the Hoop-Dee-Doo Revue at Fort Wilderness Resort. This is a great resource for calculating those dates. However, the calendar really helps with putting together all the specifics for every day of your vacation. So, you know where you will be in the parks and when. It’s an optional step for those planners who really like to know everything in advance. 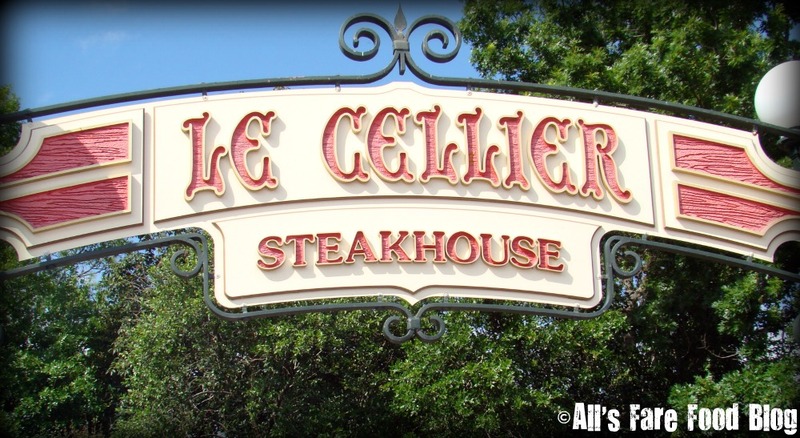 The signage at Le Cellier at Epcot's World Showcase. Make it personal. Each family has their own things that they love to eat. 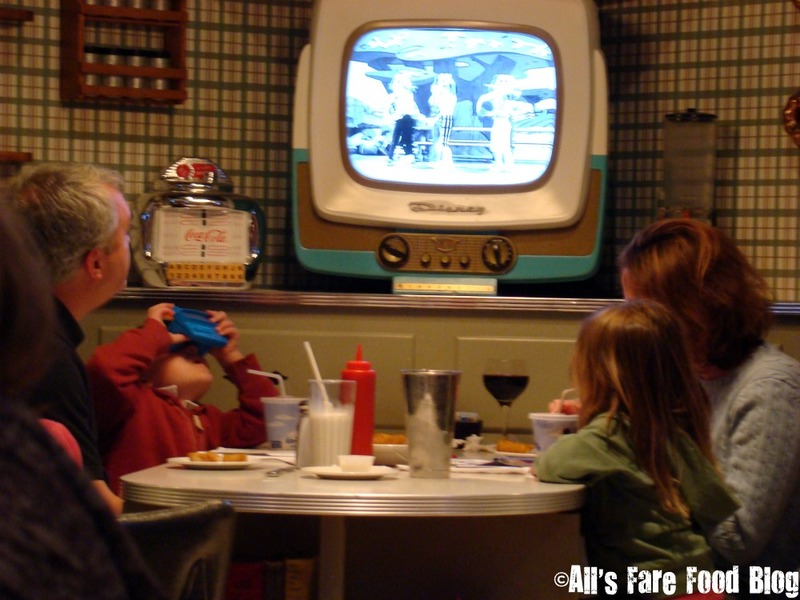 My family loves comfort food – so we try to visit ’50s Prime Time Cafe at Hollywood Studios during a trip. Other families aren’t adventurous eaters, so they may want to avoid something like Boma at Animal Kingdom Lodge. Know what your family likes (or dislikes), and tailor your dining experiences to those habits. A TV table at '50s Prime Time Cafe at Disney's Hollywood Studios park. Learn more about the restaurants. A huge portion of the book is dedicated to brief reviews of each restaurant location – table service, counter service, snack spots and bar/lounges on the WDW property. Disney is huge with almost 40+ acres of space – it’s a foodie haven. There are links to more comprehensive reviews on the DFB site if you want to learn more. Narrow down your choices and make those ressies. This is the fun part. That 180-day mark. You get up at 7 a.m. EST, wait by your phone or computer and make your reservations. Sure, sometimes you don’t get that first choice. But hopefully, after reading this e-book, you have come up with some alternate choices that will help make your trip to the World a perfect one. The DFB Guide also includes sample dining strategies for families. It prices out meals at a sit-down restaurant vs. a counter service restaurant, based on various touring days in the parks. There’s even a dining strategy for those watching the pennies in their wallets and another for vegetarians. The Guide does a great job of isolating even the strangest questions that could arise while planning like “Can I find a Pepsi at WDW?” Sadly, no you can’t. I know, I’m heart-broken. Or, “Where can I find chewing gum?” Also, a negativo on that one. 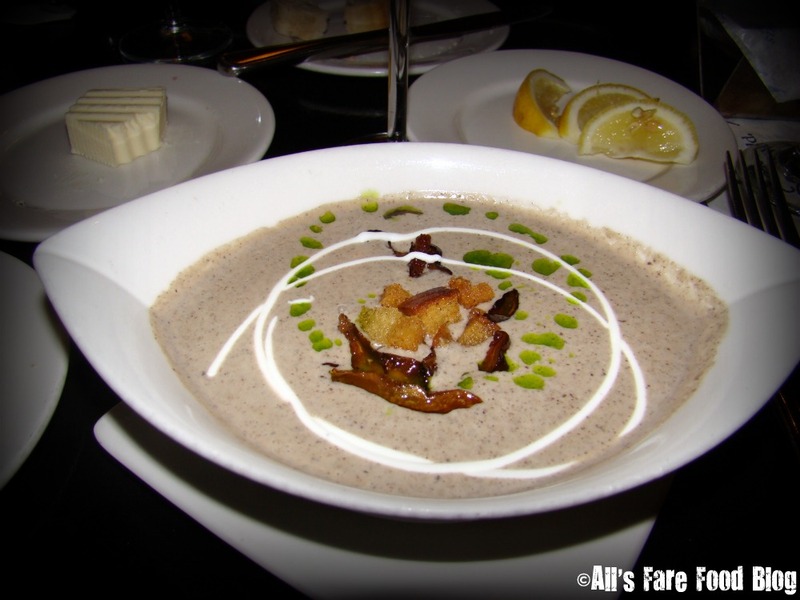 At least I can access the recipe for Artist Point’s portabella mushroom soup with truffle oil. Just ask your waiter and they’ll jot down your email address. Artist Point portabella mushroom soup at Disney's Wilderness Lodge Resort. Once you return home, you’ll have that recipe waiting in your inbox so you can make it every time you need a memory of that fantab trip you took to Disney. My only issue with the e-book was navigating through the pages on the Nook Color by B&N. Since it’s a PDF, it’s hard to go through the pages like a standard Nook e-book. When I left the PDF to do something else (surf the Web or read another e-book), my place wasn’t bookmarked. I had to remember each time what page I was on, or reference the table of contents and do a “jump to page” search. Another downfall of using the e-book on the Nook Color, the links weren’t clickable in the PDF format. However, I can access the links perfectly fine on my Mac at home. That said, since it is a PDF file, I can easily transport it to whatever device I desire. So, once I get a Smartphone and enter the 21st century, I can access the guide while touring the parks. The DFB Guide to WDW Dining is available to purchase at www.dfbguide.com for $18.95. You have a 30-day money-back guarantee if you’re not satisfied with the purchase. The price is a bit hefty in comparison to other e-books you could buy from Amazon or B&N, but you’re also buying it straight from the source. And honestly, I don’t know if B&N offers a 30-day guarantee like that. In the coming weeks, I’ll be using DFB’s guide as we start reaching our 180-day ADR deadline. I’ll show you first-hand how the provided Budget, Booking and Calendar worksheets can help you prepare to see Mickey and his friends. Please note: While I have been a contributor to Disney Food Blog in the past, I was not asked to review this book. I was under no obligation to write a review, and the opinions are 100 percent my own. This entry was posted in Disney, Disney World and tagged AJ Wolfe, Amazon, Animal Kingdom, Apple, B&N, budgets, Chef Mickey's, Cinderella's Royale Table, Contemporary Resort, Crystal Palace, dining plans, Disney Food Blog, e-books, Epcot, families, Fort Wilderness, Hollywood Studios, Hoop-dee-Doo Revue, iPad, Kindle, Mickey Mouse, Nook, Orlando, picky eaters, trips, vacations, Walt Disney World by Christina. Bookmark the permalink.